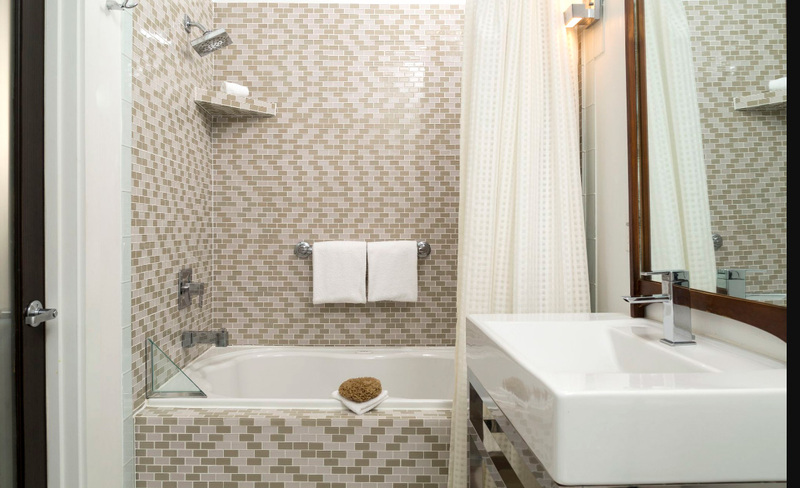 Believe it or not, your bathroom defines who you are and the way you see life. Small or big, it does not matter. What does matter is how uncluttered and organized it is. Maintenance of utmost hygiene in this space is vital for health concerns. Other than that, it also should also be a soothing place for the residents. After all, it is the place of ‘idea hacking place’ for the intellectuals and ‘comfort zone’ for moms from the never-ending crankiness of toddlers. Indian Lily is here to offer you a range of products that shall help clear your bathrooms into one of the most organized and efficient sections of your home.Have a look at your bathroom shelf. Does it look that a storm just hit it. We can help sort it out. 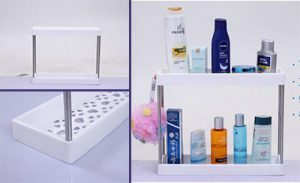 Our wall mounted bathroom rack and shelves shall give you the optimum space for all your toiletries like brush set, toothpastes, etc. It is made of high grade plastic and is very easy to clean. Since, it can be easily hanged on the wall, it literally takes up no space. Their beautiful colours are sure to make your bathroom more vibrant. Thus, it is the optimum addition for any small bathroom to create space and vitality. 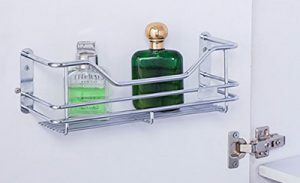 We also offer our customers the choice to opt for the two layer bathroom rack. With the help of the two provided hooks, it can be made to stand anywhere. Made of high grade plastic, it’s size is perfect to store all your bathroom essentials and it comes with attached draining trays to let all the moisture pass by. 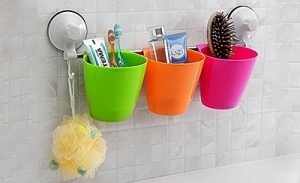 These racks are also sure to add an element of ease and efficiency in your toiletries storing and cleaning process.